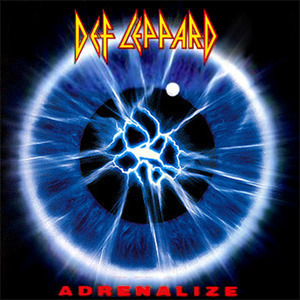 Adrenalize is the fifth studio album by British metal band Def Leppard, released in 1992. The album was the first by the band following the 1991 death of guitarist Steve Clark. It was produced by Mike Shipley and Def Leppard, with Robert John "Mutt" Lange as executive producer. The album charted at #1 on The Billboard 200 and #1 on the UK Albums Chart.